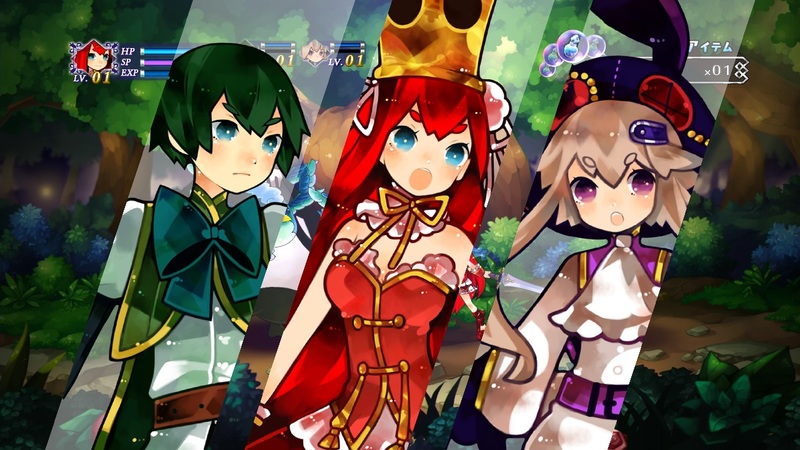 ← Galge Review – √(Root) Harem! The game’s plot revolves around a hopeless war of earthlings against outer-dimensional monsters. Those invaders appeared all of a sudden from portals and started to mercilessly wipe-out humanity. Those creatures did not have any physical form, so they could revive as many times as necessary as long as they have a vessel. The fight was very one-sided, since they did not even need to fight directly against humans, since they could control any living being with their ghastly songs. Humanity was at it’s ends, when one of the monsters rebelled against it’s own race and rescued the few humans who had survived and sent them to an artificial island where the other invaders would be unable to find them. The remaining humans decided to use this opportunity to create a weapon who would be strong enough to defeat the monsters. This marked the beginning of the Arcadia project, as well as the birth of the War-princess of Arcadia(s). Something very intriguing about this game’s plot is that, while it is very interesting and full of pontential, the execution is terrible! The characters try too hard to be funny and cute, which this end up destroying any possible tension or seriousness in the game. It’s like the characters themselves don’t take their own events seriously. Even during the most crucial scenes, there are some really stupid jokes, which made me do countless face-palms. 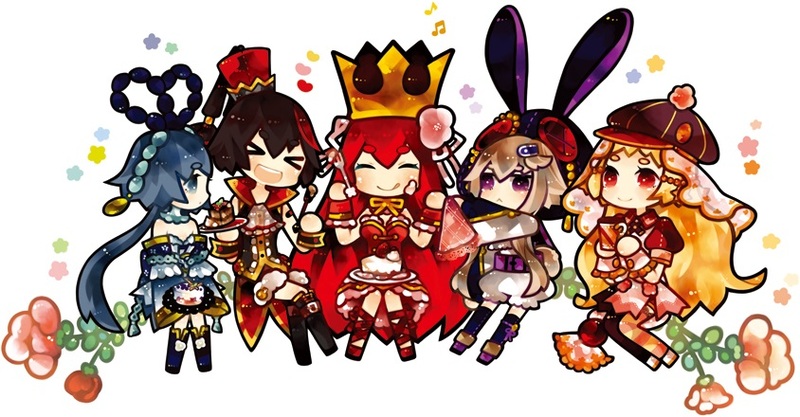 One could defend this game by pointing out that Nippon-Ichi games are just like that, and take Disgaea as a example, but I played the Disgaea games, and they were nothing like this one, since they know the right time to stop the jokes, keeping a good balance between comedy and seriousness. There are just too many characters in this game, so I will just introduce the main trio, since they are the most important characters in the plot. Pruem is the master-piece born from the Arcadia project. She fight as the War-princess of Shevert to protect her people from countless monsters. She is an air-head who can’t focus at anything but fighting, which makes her a very uninspiring protagonist, as she will not understand any explanation that gives exposition to the main plot, neither will she take the situation seriously, there will be moments where she will even fall asleep during important events, or just get bored and start to call everyone stupid. It would be more accurate to consider Laats as the true protagonist because, while it’s always Pruem who is at the front-lines, it’s him who moves the story forward. He joins the party right at the beginning to substitute Pruem’s late servant. 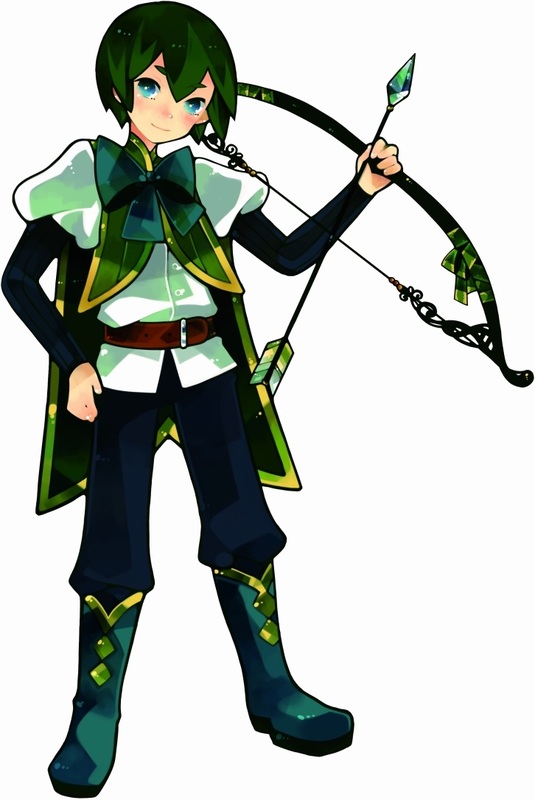 At first he doesn’t seem very reliable, but he soon shows his many talents and charisma, which makes him the character who interacts more with the party. Therefore, nearly every female character falls in love with him (and even some men) and he becomes respected by everyone in no time. 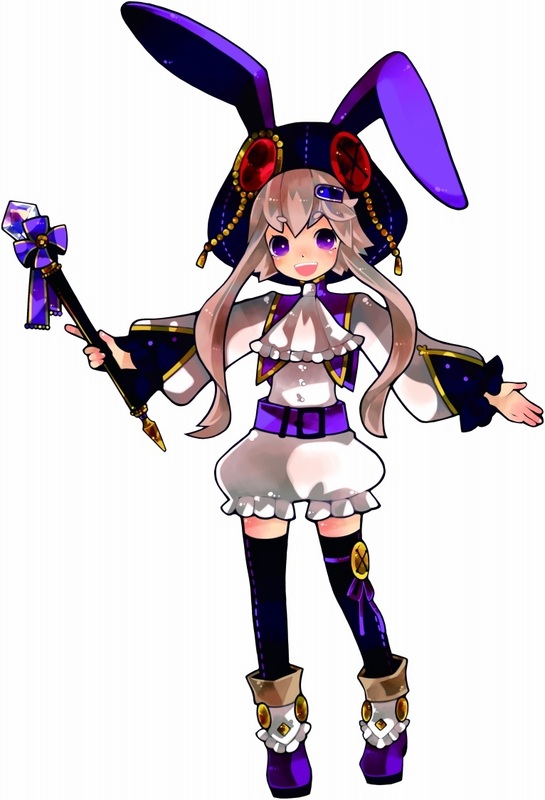 Uni is the mysterious loli with bunny ears who works as a “technician” for the kingdom. She does many simple jobs fixing some tools and even assisting Pruem in battle with her magic. 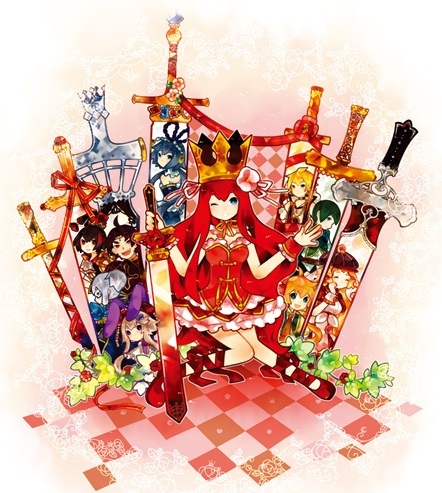 The truth is that she is highly involved in the Arcadias project and sees the war-princesses as nothing more than tools. 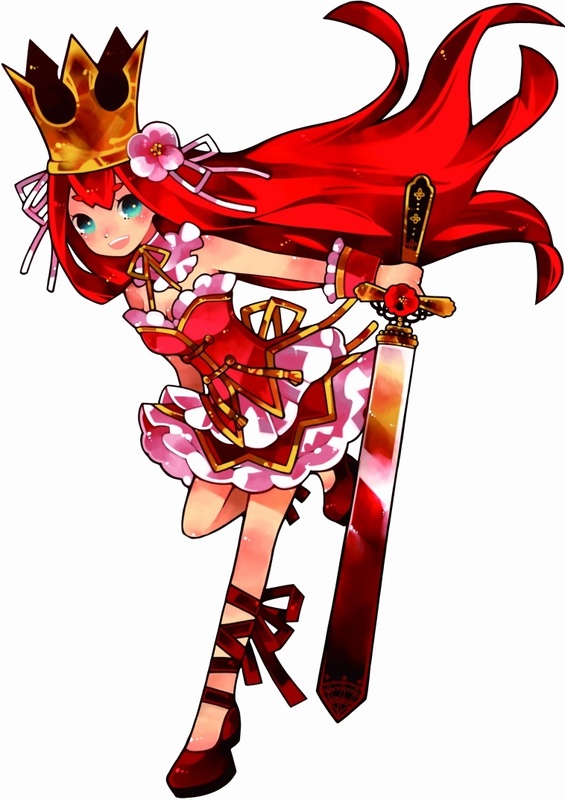 She would always travel around the kingdom to do many missions and maintenance, but she decided to join the party permanently when she noticed that Pruem’s behavior was changing thanks to Laats’s influence. 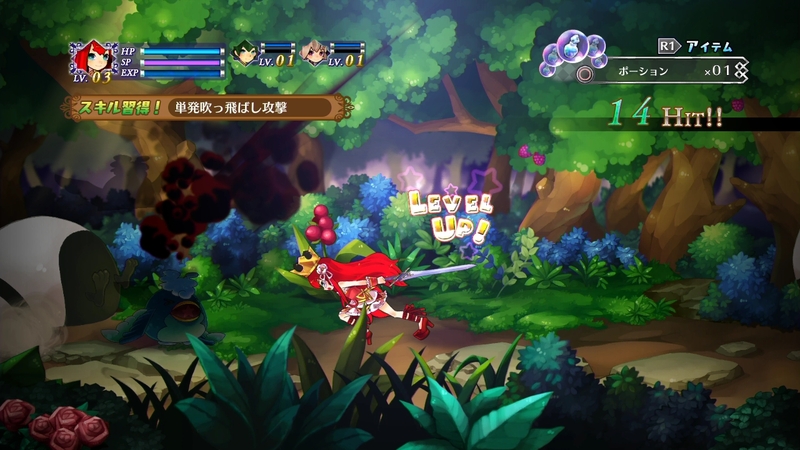 The game has a very standard side-scrolling action-RPG gameplay, but it plays very smoothly and fast. You have a weak attack that is used to make long combos and a strong attack to use for crowd-control. There are “screen-cleaners” special moves that need a special gauge and are used by pressing weak attack+jump. There are also “super combos” which use only one half of the gauge and are executed with a quarter circle forward motion + attack. There are special battles where you will be joined by an army of female soldiers. Those warriors are A.I. 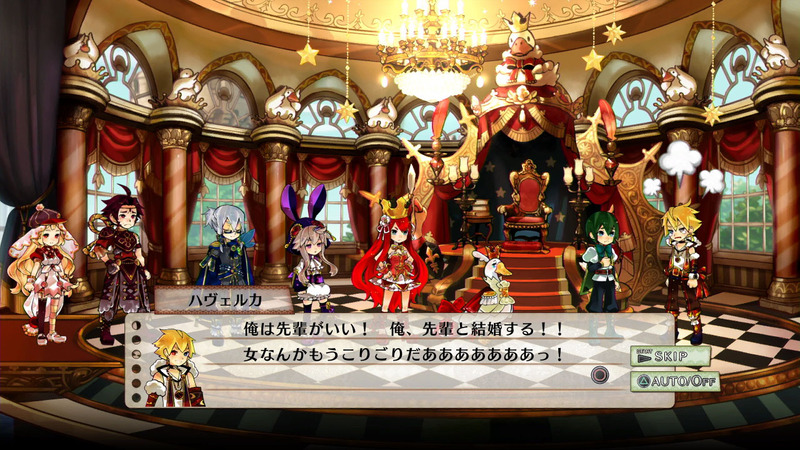 controlled and will follow orders given by the player with the use of simple commands. This troop has it’s own “ultimate art” which uses their own special gauge, as well as their own life bar. They also need to be leveled-up by paying for their training at the city. There are two occasions where these soldiers will follow your party. The first one is against boss fights. During such, they will be right at your side and can be targeted by the attacks that are aiming at you. 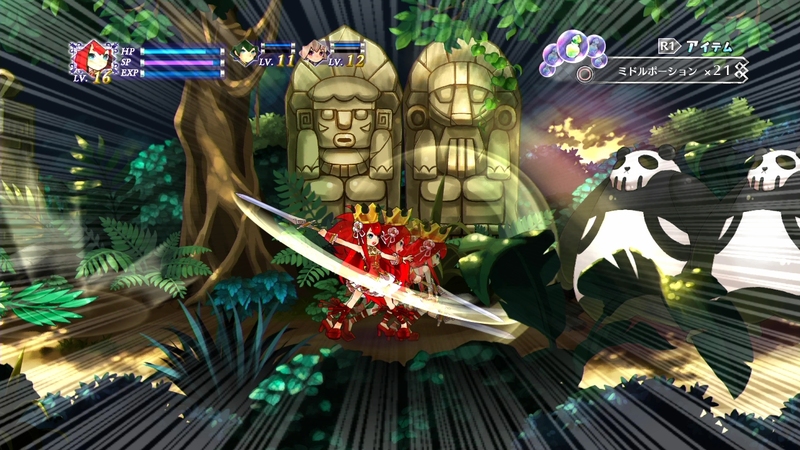 Your playable character will also attack together during their “ultimate art”. The last one is in a war game between you army and the enemy forces. Here you have to wisely choose which type of soldier to send, since each kind of weapon can be effective or very effective against other weapon (which makes the other side ineffective or very ineffective). The three battle styles work perfectly, as there are few things to learn and the variety between those 3 modes and the 10 playable characters are enough to keep the experience fresh and interesting for the whole playthrough. 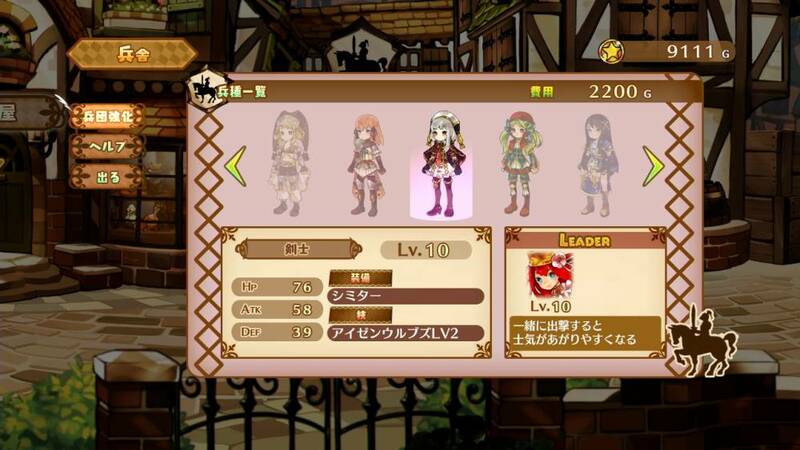 In the city, you can buy cure items, weapons and upgrade your equipment, but the game difficulty is so low that you can finish the game without using those even once (as I did). You will never run out of strong weapons since the dungeons always reward you with items much stronger than the ones you would find at stores. I find the dungeons very short and simple, as they have always a straight-foward layout with upper levels, different rooms or alternative routes. Most dungeons can also be finished in less than 5 minutes without a overpowered party. However, those who are up to the challenge can take on the secret dungeon after beating the game. This dungeon is simply the amalgam of every single dungeon and boss battles on the game in a single super hard dungeon. Clearing this dungeon gives you access to a second playthrough with a harder difficulty setting and it also makes you feel like a BADASS! 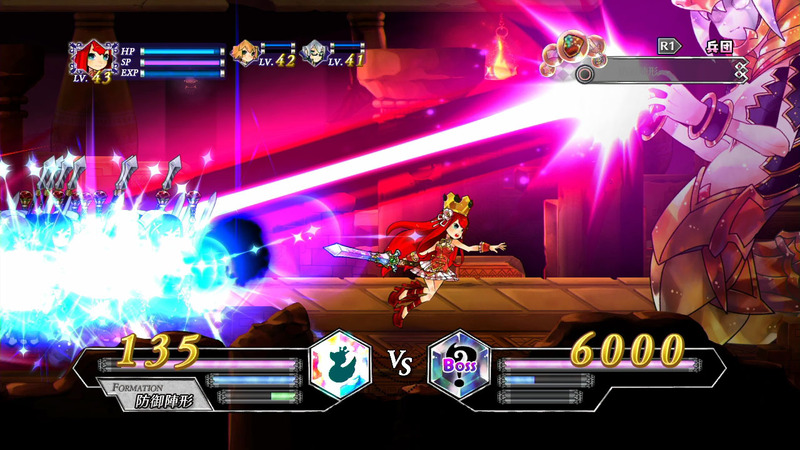 The graphics are made in the flash style, where characters sprites are made of many pieces that are put together and moved around like a puppet or stretched out to make many effects. 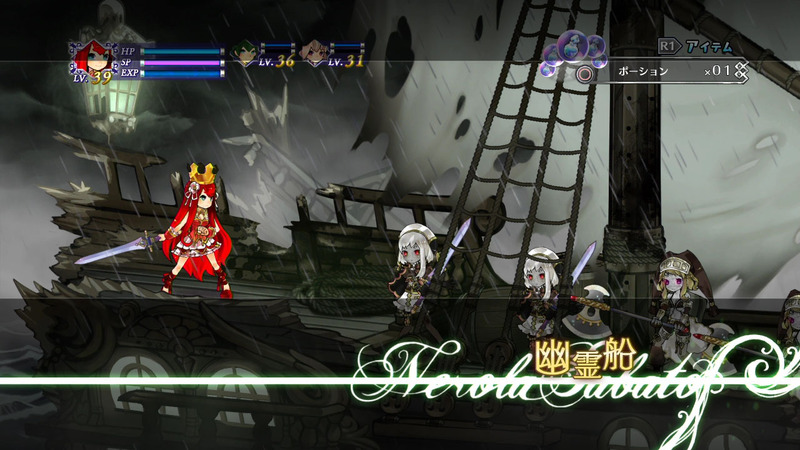 This style is the same used on the famous Odin Sphere, even though it’s nowhere near the quality of Vanillaware’s title. Nevertheless, the crayon-like colors give a very unique feel and the level of details in the background is incredible. 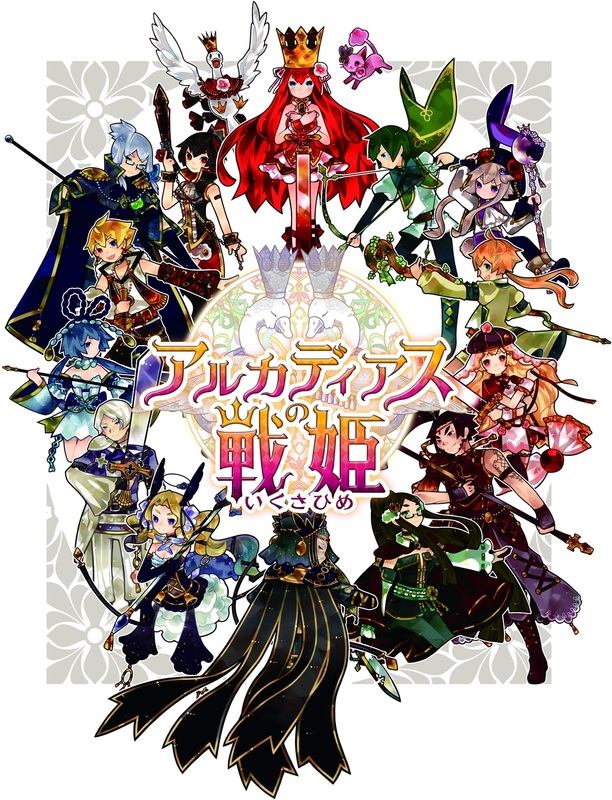 The character design is cute, what is very odd, since one would assume this would be an all-girls type of game, but there are many important male characters, and there are even middle-aged men in the party, those characters get very weird in this “kawaii” style. Voices are excellent and feature many famous seiyuu, like Saori Hayami as Pruem. They all make an exceptional performance. The music is excellent as well! 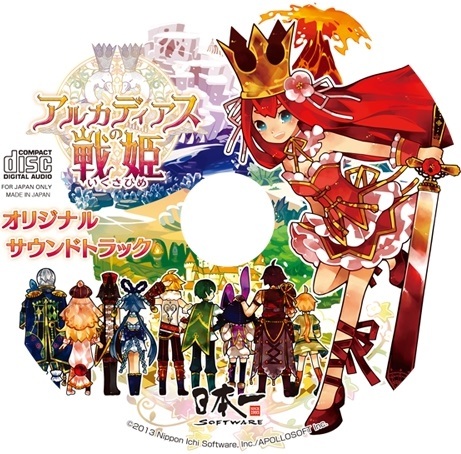 The BGM always gives the right atmosphere to the scene and fits the “children story book” theme. There are even some vocal tracks in a fast-paced J-pop style, and even those manage to fit perfectly in the game. Anyway! 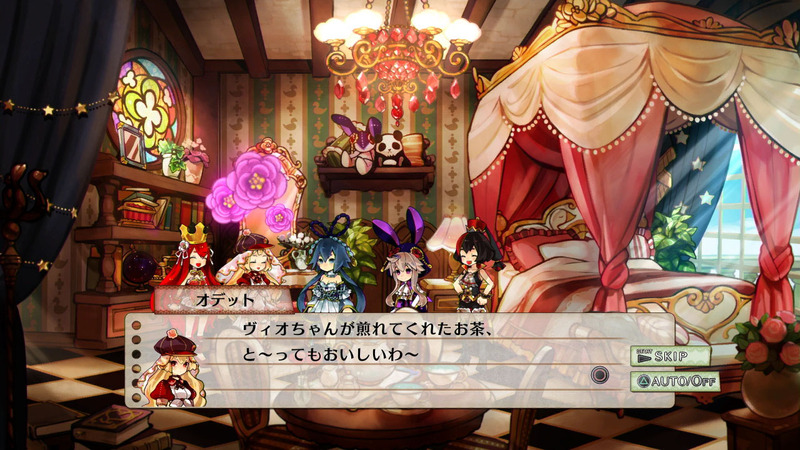 This is a much better game than Blue Roses – the last title developed by Appolosoft for Nippon-ichi. I have high-hopes for them and hope they could continue to make good games like this one! 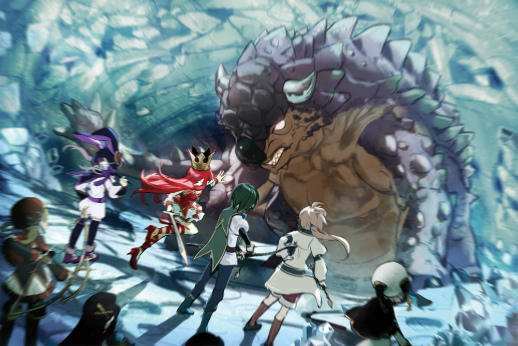 This entry was posted in Game and tagged Action RPG, Appolosoft, Nippon Ichi, PS3, Review. Bookmark the permalink.